A glittering jewel lies in one of the furthest extremities of the United States. Sitting at the bottom tip of California, San Diego is just this side of the Mexican border. The second-largest city in California, and the eighth-largest city in the United States, San Diego is home to a vibrant and diverse populace, an enormous variety of attractions, and some truly massive and unique annual celebrations. 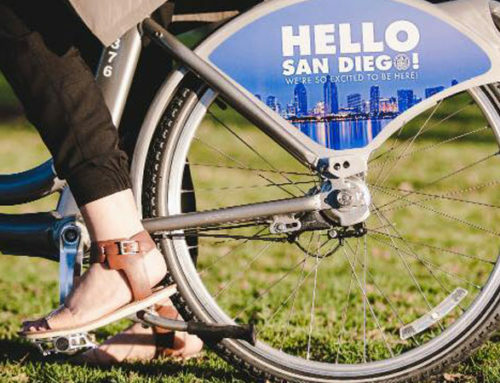 Get to know the city a little better with our overview of San Diego. European settlement of the San Diego area began in earnest in 1769 under the direction of Gaspar de Portola, who created the Fort Presidio of San Diego. The creation of the fortification was quickly followed by the founding of the Mission San Diego de Alcala by Franciscan friars. Previous to this settlement, two exploratory expeditions of European explorers had already surveyed and named the region. The settlement went through periods of relative growth and contraction, passing from the hands of Spaniards into possession by Mexico, until it was ultimately made a part of the United States when California was admitted into the union in 1850. Some heated negotiation saw Mexico fail to retain access to San Diego Bay in the Treaty of Guadalupe Hidalgo. After becoming a part of the United States, efforts quickly followed to create a “New Town” area of San Diego more conducive to maritime pursuits. By building near the natural deep-water bay, the New Town area gained significant traction, eventually becoming the modern downtown area. San Diego suffered some difficulty in establishing itself as a major city, partially due to a lack of major railway access. The city continued to experience a series of upswings and difficult circumstances until the arrival of the World Wars. 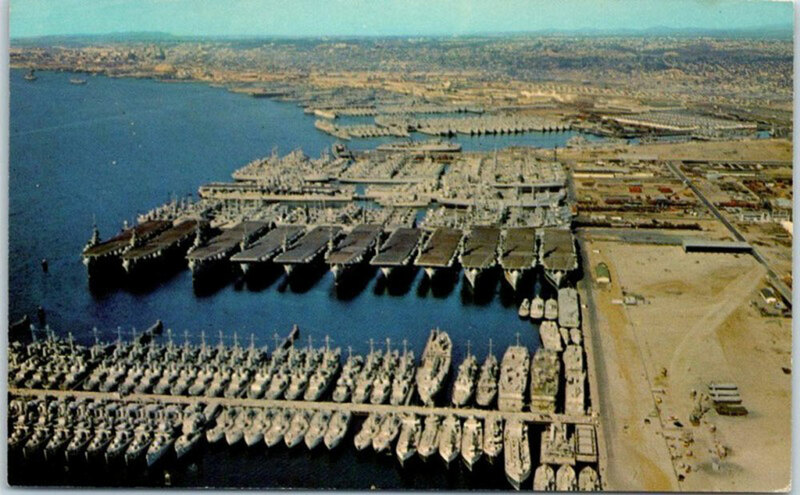 During both Word War I and World War II, San Diego served as an important manufacturing, transit, and strategic point for multiple branches of the United States military. It was an important enough strategic target that Japanese forces planned to attack the city with kamikaze planes loaded with plague-infested fleas designed to spread death and havoc through American forces in an operation that was due only weeks after the surrender of Japanese forces. Fortunately, San Diego didn’t become a plague-ridden wasteland. Instead, the postwar period saw the growth of the tuna trade and the continued importance of military installations during the Cold War. The tuna industry dried up later in the century due to the pressures of globalization, and the end of the Cold War has seen significant cuts to the military complexes in and around the Point Loma area. After the loss of some of San Diego’s most important sources of employment and revenue, the city went into decline. The downtown area suffered greatly until the 1980s, when urban renewal efforts brought tourism and technology into focus as the future of the city. Headlining projects of the time included the construction of Horton Plaza and the San Diego Convention Center. Additions to the newly minted San Diego State University saw the city become a center of biotechnology research attracting large biotech and pharma companies in addition to its status as a seaside tourist attraction. 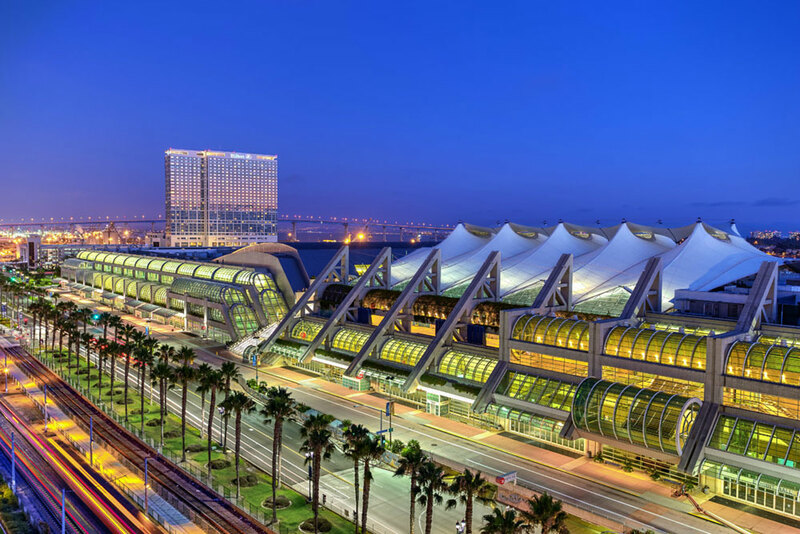 Today, San Diego is a hub of high-tech and tourism, standing side by side with other California travel destinations as a gorgeous, year-round getaway. Glittering sands, breathtaking vistas, epic surf, and more await beachgoers in and around San Diego. Visitors are treated to an assortment of astounding coastline to choose from. 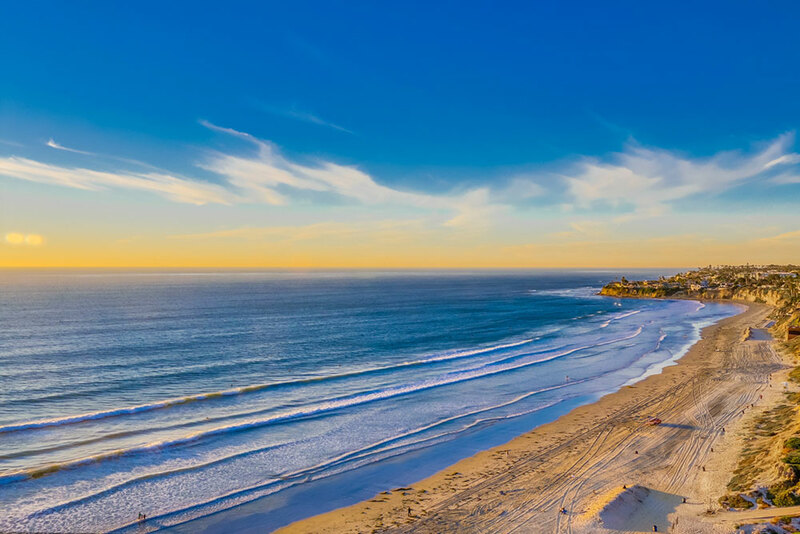 Long, picturesque stretches of perfect sand like Coronado Beach or La Jolla offer soothing evenings basking in the glorious sunset, while surfers can hit up adventurous spots like Carlsbad and Tourmaline Surfing Park for ideal waves. 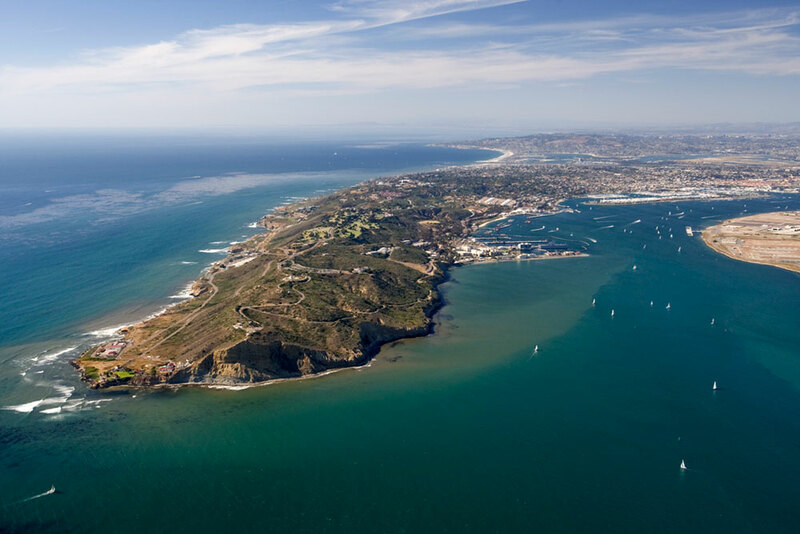 Fishing, diving, swimming, RV camping, and more are all served by at least a couple of San Diego’s excellent beaches. All Seasons Resort Lodging’s own Capri by the Sea is located right on the boardwalk north of historic Crystal Pier, a literal stone’s throw from the ocean as a part of Pacific Beach. 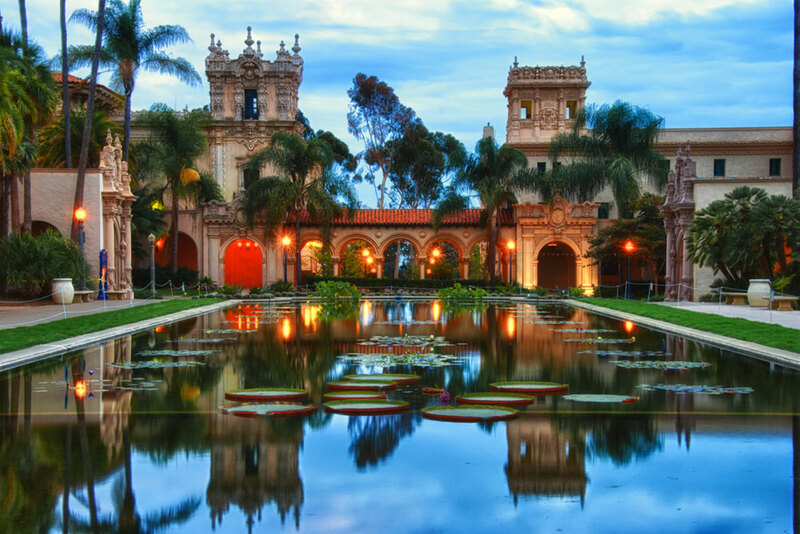 Balboa Park is a massive collection of parks, gardens, museums, theaters, venues, and other attractions all clustered together into a sprawling public recreational complex. Balboa park served as the home to two large conventions in the early 20th century—the Panama-California Exposition in 1915-1916 and the California Pacific International Exposition in 1935-1936, and have since seen a succession of additions and improvements that make the park a multi-day experience for any San Diego visitors. Highlights include the San Diego Natural History Museum, the Botanical Building, the Old Globe Theatre, and, possibly best of all, the San Diego Zoo. 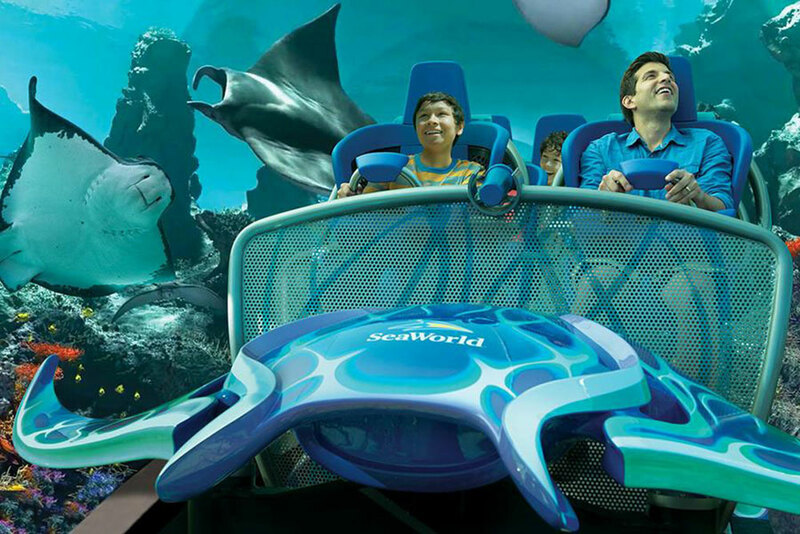 A unique combination of aquarium and theme park, SeaWorld San Diego is a longstanding favorite for travelers both young and old. Guests can get up close and personal with a variety of marine life, including touch tanks full of sharks and rays, underwater aquariums, and the famous performance shows, including the massively-impressive orca demonstrations. There are also plenty of more kinetic experiences, including a sprawling roller coaster, a rapids ride, a log flume, and more. There is at least a full day of amusement to be had in this world-class park, with plenty to see, do, and learn for all ages. Several new attractions are scheduled to be completed in 2017, giving even veteran park-goers something new to experience. SeaWorld isn’t the only major amusement park in the San Diego area. 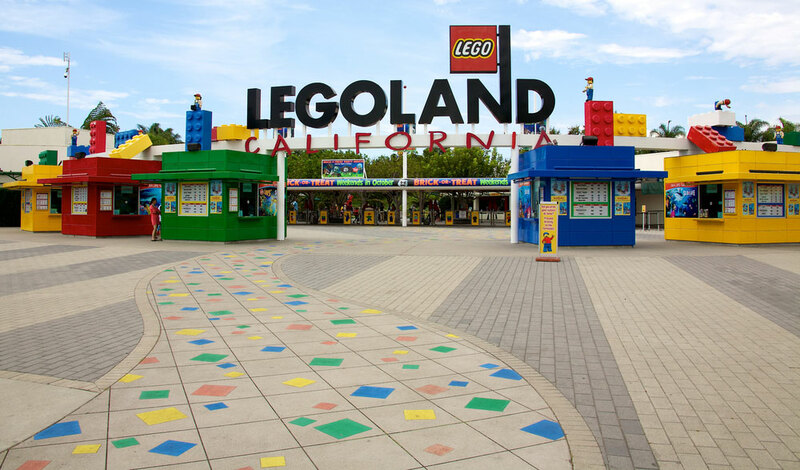 For those with children—or just children at heart—LEGOLAND California makes for an unforgettable experience. With dozens of rides and attractions scattered across nine themed sections, plus a water park, LEGOLAND contains several days of big fun based on tiny plastic bricks. The park is growing all the time, which fits nicely with the theme of endless building and imagination LEGO represents. Just like LEGO, the park covers almost every conceivable theme, including pirates, knights, cities, ninjas, and more. You can even take some time to just sit and build for a while in the Imagination Zone, in case the rides and attractions wear you out. 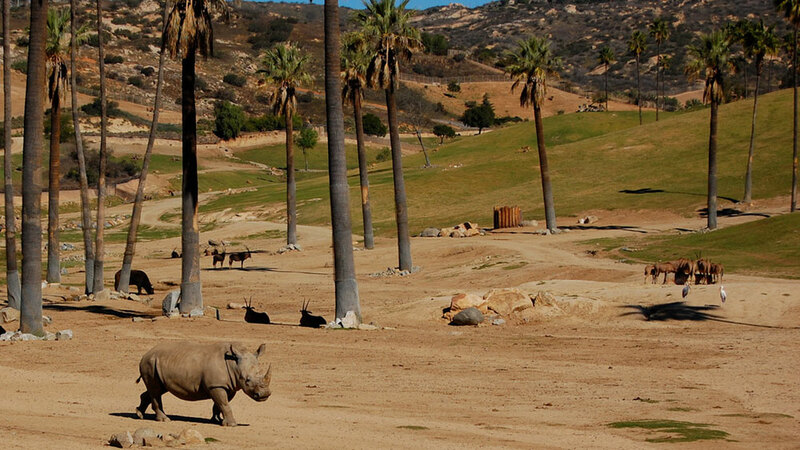 Located 30 miles from the main San Diego Zoo, Safari Park—frequently called Wild Animal Park—offers guests a chance to get a bit closer to the fauna than a traditional zoo. A range of safari offerings provide tailored experiences based on some of the park’s most popular residents. From specialized cheetah safaris to more generalized tours, there are plenty of options to enjoy. There are even overnight glamping trips overlooking the animal pens, for those who would like an extended encounter. In addition to the animal attractions, the park offers zip lines and jungle ropes courses for those who would like a more active experience to go with their adventures. On top of everything else, San Diego is nestled into breathtaking country. Torrey Pines State Natural Reserve, Sunset Cliffs Natural Park, La Jolla Caves, Mount Soledad, Point Loma, Mission Bay Park, and more are all beautiful places to go for an afternoon of natural splendor. Depending on your tastes, you can explore seaside hills, southwest scrublands, mysterious caves, sunny beaches, or any of the other natural wonders surrounding this natural bay. Pick a park or trail, and get into nature. The weather is mild and pleasant enough that you will be comfortable walking outside almost every month of the year, though the very height of summer might be a little warm for some tastes. The single largest gathering of comics nerds, geeks, aficionados, and insiders in the United States, San Diego Comic Con is an exciting and lauded annual spectacle. 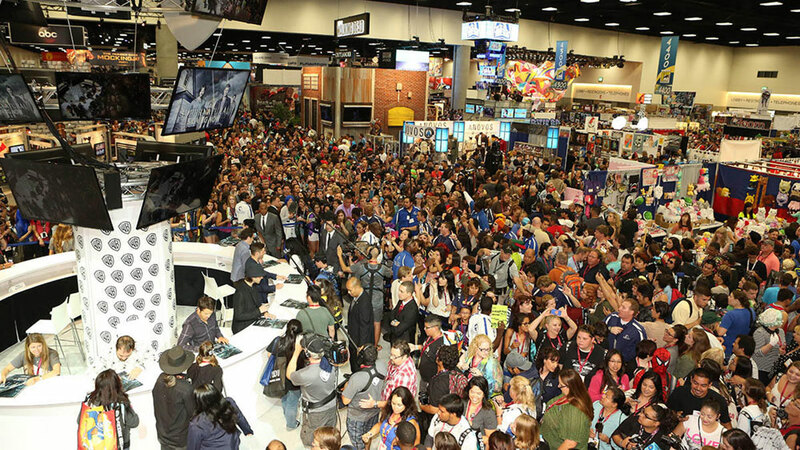 Some of the biggest entertainment news of the year comes out of the San Diego Convention Center each summer during Comic Con, in addition to the fascinating panels, fun events, herds of costumed fans, and hundreds of booths, shops, demo stations, and exhibitions that cover the show floor. Grab your utility belt, lightsaber, sonic screwdriver, or tricorder and get your fandom on with the tens of thousands of attendees that invade the downtown area each year. 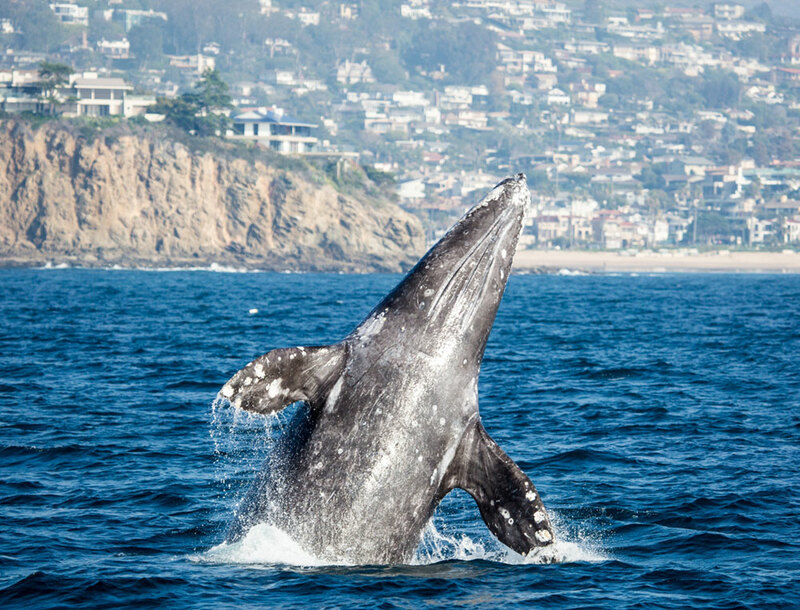 San Diego lies along the annual migration path of the majestic gray whale. More than 20,000 whales make the annual trip up and down the Pacific coast, passing within easy viewing distance of San Diego. Gray whale watching season comes by every December-April, with pods of two, three, or even more drifting gently along the coast throughout the days and weeks. Whales can be observed from the shore, especially with a good pair of binoculars. Whale watching tour boats can be utilized for a closer look at these massive mammals. If you are willing to venture out a little further, blue whales, the largest mammals on the planet, congregate off the shore every summer to feed on the rich krill that flourish in the waters near California. 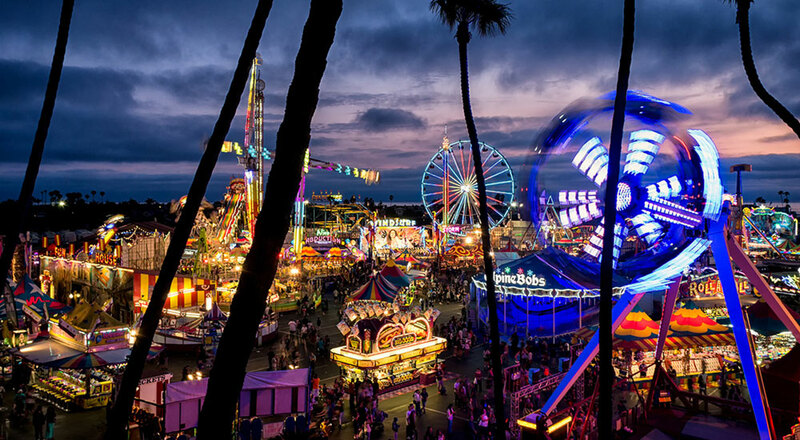 The largest county fair in California, the San Diego County Fair has risen above one million annual attendees and attracts international headliners and hundreds of vendors from all over the county, state, and country. The fair lasts for a month, starting in June and ending with a bang on Independence Day. There is something here for just about everyone. In addition to amateur, local, and national performance talent, there are dozens of competitions on every conceivable subject, scores of restaurants and vendors offering food and handicrafts, and endless events and spectacles to take in. As the fourth largest fair in the entire country, there is no end of fun to be had at the San Diego County Fair. The independent brewing and microbrewing scenes are well established in San Diego. Sometimes called the “Capital of Craft”. Dozens of breweries dot the cityscape, with plenty of award-winning labels among the field. Brewery tours are not uncommon, and entire vacations can be planned around exploration of the local beer culture. 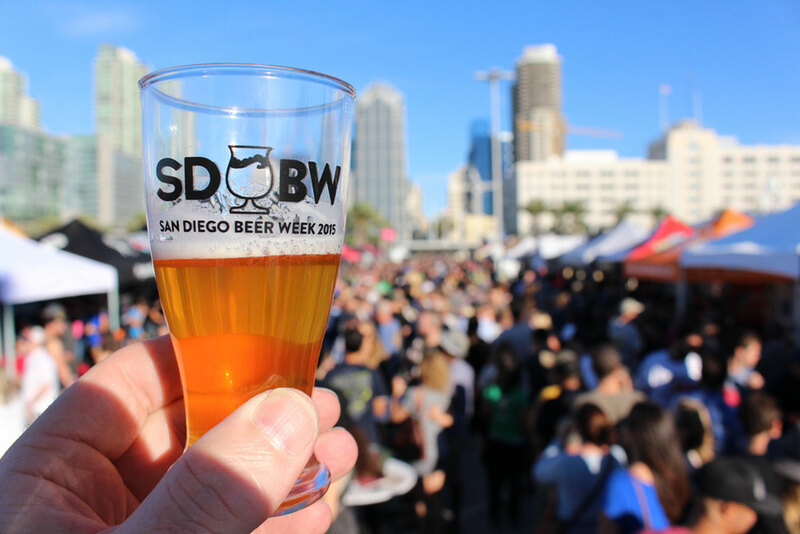 Each November, the makers of these popular libations gather for San Diego Beer Week. For 10 days, beer takes center stage as breweries go head to head in competitions, share their wares with the public, unveil new brews, pair up with delicious food vendors, and more in this Dionysian revel.